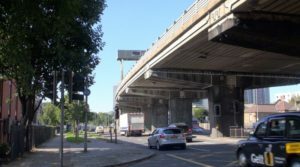 Caroline Russell, London Assembly Green party representative and transport committee member, recently published her report on London’s outer London junctions. The report includes her comments and views on the proposal’s for Croydon’s Fiveways redesign and recommendations as to how our ‘Hostile Streets’ can be tamed. Michael To (@DracorumOrder) has tweeted about the panel discussion event held to mark the publication of the report and you can search for other twitter users comments using the #hostilestreets hashtag. Equally, Caroline’s blog below contains a summary of the event and the report. All well worth a read.